Microsoft is keeping quiet on reports suggesting that brisk sales of Windows Phone 7-based devices in China have propelled its overall market share up to seven percent, taking it past rival Apple’s six percent in the process. CNET and a number of other tech sites published comments attributed to Michel van der Bel, Microsoft’s Chief Operating Officer for the Greater China region, who reportedly revealed the statistics to Dutch business magazine Emerce. What’s notable about the original Dutch report, however, is that van der Bel is not directly quoted disclosing the statistics. While we are encouraged by the progress Windows Phone has made since its launch in China two months ago, Microsoft does not give out marketshare information. The statement is not a denial, but there is very little to be inferred about the legitimacy of the reports, and the source of van der Bel’s alleged figures. 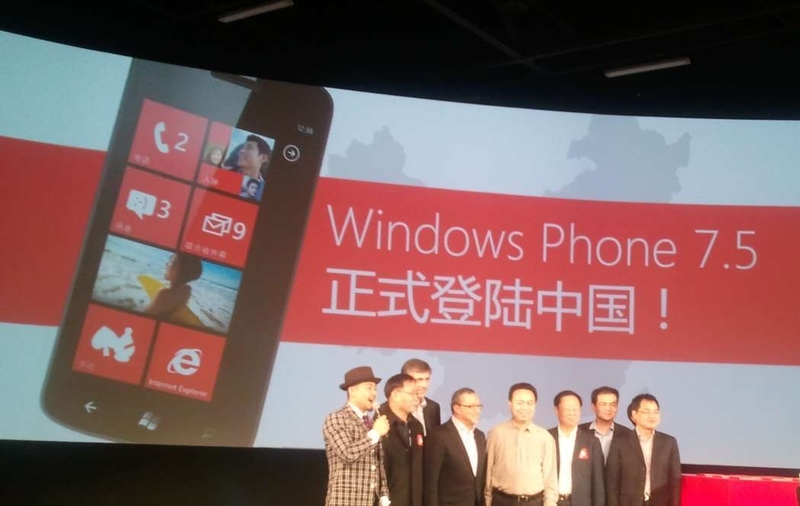 Microsoft launched the Windows Phone 7 platform in China in March, when it revealed it would offer devices from HTC, Nokia, Samsung and ZTE, which include the flagship (and fully localised) Lumia 800C. Sales of the first batch of WP7 devices were initially reported to be promising, when released via the country’s third largest operator China Telecom. Data from Analysys International estimates that sales of Windows Mobile devices fell from accounting for 5.2 percent of industry-wide smartphones sales in the first quarter of 2011, to account for just 1.2 percent in the final quarter. Android led the pack at the end of last year with 68.4 percent of the sector’s sales, ahead of Symbian’s 18.7 percent and Apple’s 5.7, though that was before the latest WP7 devices were introduced. Apple, Android and Microsoft will soon face new competition after Chinese search giant Baidu threw its hat in the ring with the launch of a new cloud-centric operating system, app store and its first Baidu Cloud-powered device. Baidu’s aggressive policy, which also includes plans to ‘fork’ Windows Phone and iOS, if possible, will position it as an ideal partner for handset makers seeking a locally appealing device. It remains to be seen if Baidu’s strategy will attract top brands — beyond launch customer Dell — and steal valuable market share from the competition. Update: Great to see that our friends at Tech In Asia also chased this report up with Microsoft, smelling a rat with the figures too. Also, as TIA’s Rick Martin notes, TNW did publish a post with details from the original report too – a fact that I was unaware of and inadvertently overlooked in my initial post.